The years went by. Daniel Pleasant, now 23, was now a first-team regular starter for Simley Town FC. For six whole years, Daniel’s place in the Starting Eleven had been unquestioningly secure. Minutes on the field meant good prospects, and more money in his pocket. However, his pay was not extremely high, since Simley Town never had any consistent place in the most prestigious “Primary League A”. For decades, Simley Town FC was notorious for seesawing its way between the lower positions of “Primary League B” and the higher positions of “Primary League C”(**). While it was a major achievement to not have to worry about his long-term prospects in Simley Town, Daniel’s life was not going smoothly at the moment. Simley Town was due to play a match the following day, but long-term starter Daniel Pleasant was NOT going to play. He did not even have a place on the substitutes’ bench. Three months ago, Daniel was the victim of a most vicious tackle, that left him with a broken ankle. Daniel had to be substituted off, lying on a stretcher, while the opposing player, Joey Simton, received a straight red card. The incident was serious enough for the Sims Football Association (SFA) to warrant an investigation. After reviewing the replay footage, which suggested that Simton deliberately tried to injure Daniel, the SFA banned Simton for five matches. Worse still, Daniel had recently broken up with his second girlfriend, a mixologist at a bar that he no longer goes to. Now sitting in a new sports bar, Daniel downs his second pint, nursing his broken ankle and broken heart. Three months of recovery had enabled him to stop using his crutches, but he was unsure how long his heart would take to heal this time. Suddenly, Daniel caught sight of a familiar face at a faraway table. It was Mary-Sue Oldie, sitting with a man he does not know. Daniel’s mind raced back to the past, when he had three dates with Mary-Sue. 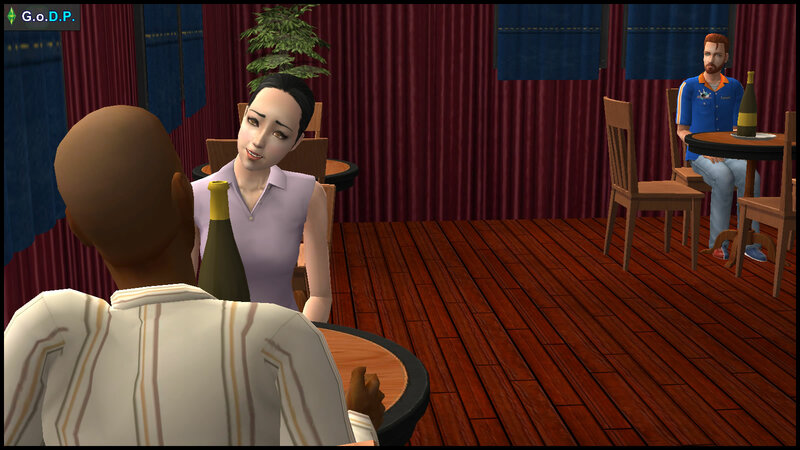 On the third date, he tried to kiss her, but she pushed him away and ran off. The next day, he called her house. Her mother told him to look for another girl. Daniel should have known. He was only attracted to her “exotic beauty”. What did he have in common with Mary-Sue Oldie? She doesn’t even like football! After falling out with Mary-Sue, Daniel flirted around with random girls, but did not enter any serious relationship till he was seventeen. She was a very attractive cheerleader. It seemed fitting that a cheerleader would pair with a school jock. However, this pairing was short-lived, as she dumped him after two years, after catching him flirting with another girl. Daniel did not notice that he was now finishing up his third pint, which seemed to be helping to drown his past and present sorrows. He also didn’t notice a young lady of eighteen enter the bar, accompanied by a young man. The young lady sat down beside him. She asked the barista for some plain water for Daniel. At the Half-Time Break, John excused himself to go to the bathroom, leaving the Pleasant siblings alone for a private conversation. Jennifer nodded, and smiled slightly. She did not expect the sad expression that suddenly formed on Daniel’s tired face. Jennifer cast a knowing glance at her brother. “Things may not be going well now, Dan, but they’ll get better faster if you stay positive. You must recover fully and play football again. You’re charming enough to get another girlfriend. When John returned, he could not help but notice that Daniel looked a lot happier. The three of them went on enjoying the match together. The match ended, with Jennifer’s prediction being correct. As John paid for the drinks, he expressed his great fortune in having a girlfriend to discuss and watch football with. Daniel decided that he would go with Jennifer, and spend the night in their parents’ house. After all, it’s been a while since he last visited. When the siblings showed up at the doorstep, their mother, Diane, looked particularly worried, and was about to leave the house. 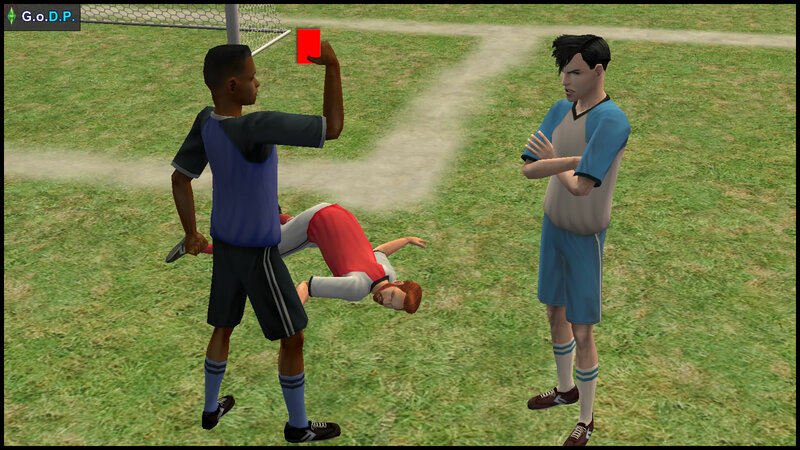 (**) See [Extra 1] for an in-depth explanation of these Sims footballing terms. It may even aid your understanding of real-life football too! How badly off is Jeff Pleasant? How will Daniel recover from his traumas, and attempt to regain Mary-Sue’s favor? Daniel isn’t very much like Lothario and marrige and children changed him, but that’s no excuse for cheating on your (future) wife with your (future) maid. At least Daniel has a little Family secondary aspiration hidden deep in his soul. Were GODP screenshots taken in Veronaville? While I chose to interpret Mary-Sue to be born with businesslike no-nonsense traits, it is also possible for other simmers to have the other interpretation that you suggested. Gondola Park and Sports Nectary are cloned lots to be used in multiple stories. 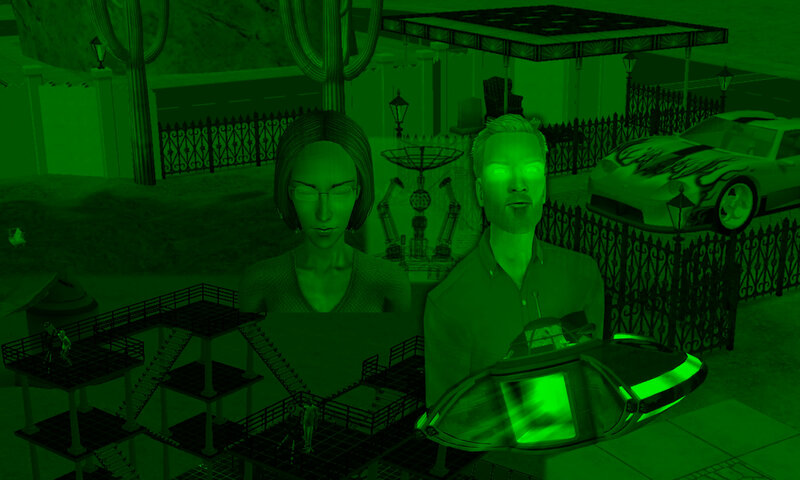 I tend to place them in custom “shopping districts” added to each neighborhood. Now that I re-read the line “[…] with a school jock” makes me realize that Daniel is one of the classic jock jerks: very sporty, thinking only at sports, that want to be in a relationship with cheerleaders/very hot (and dumb) girls and (possibly) teasing and mocking teens who are considered “nerds and geeks”! I hate this kind of people! They don’t learn a thing and they just go to school just to show off and have fun all the time… and they have the perfect life!!! If I would think about this the next time I play the Pleasants, I will torture Daniel and eventually starve him!!! I really like how you gave the Pleasant siblings and John that generic 90s look on them. 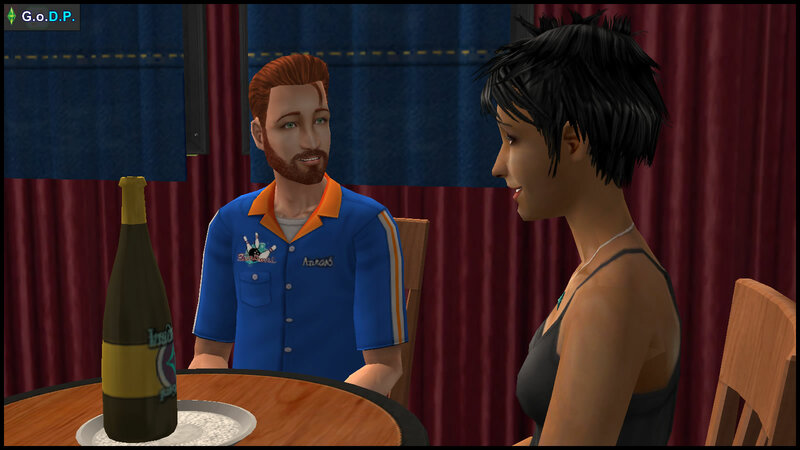 I wonder why did Jennifer grow her hair back and John give up to that mohawk (and how did they ended up in Dragon Valley, and Dan and Mary in Sunlit Tides?)? 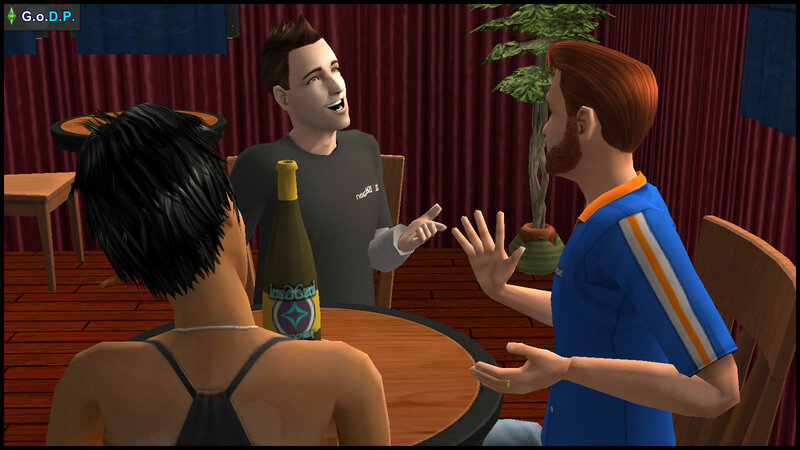 I am of the opinion that “jock”, “nerd” and “rebel” (social groups in “Sims 3 University Life”) are simply broad classifications, and that people may not necessarily fall strictly into one category(**). As much as Daniel Pleasant is predominantly a “jock”, I took great care to *balance* his character, so that he *doesn’t* come across as a one-dimensional jock stereotype. Think about how Daniel was like in the PVCS 2035 Match. Are elder Dan’s attitudes identical to how he was in the 2015 Match, or earlier in life? Has he learned from his mistakes? (**) The RM are predominantly “Nerds” due to their most glaringly obvious Knowledge aspiration and academic/scientific pursuits, but their association with racing and football gives them some “Jock” cred, while their interest in rock/metal music amounts to significant “Rebel” cred too.